Bauer Supreme S29 Junior Hockey Skates | Sports Etc. 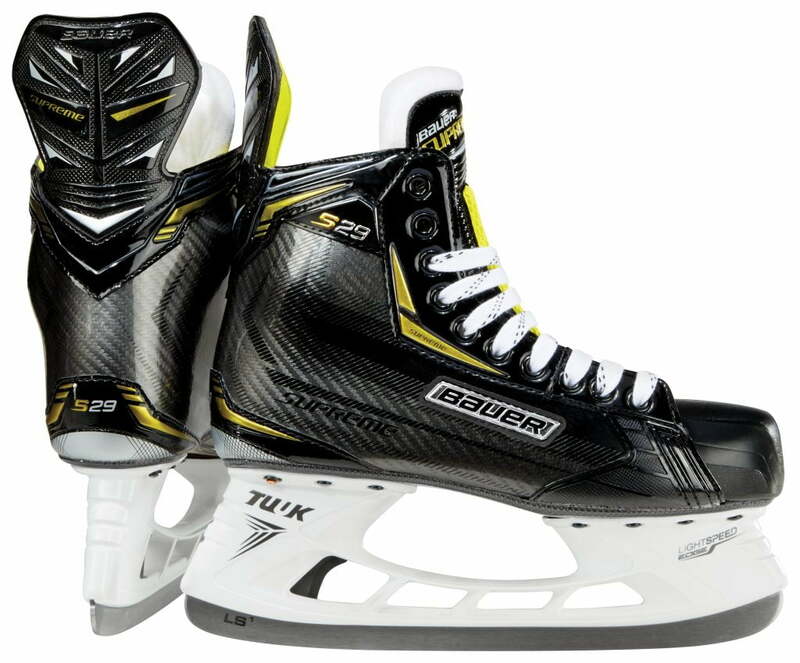 The new Bauer Supreme S29 hockey skates have a fiber composite+ quarter package and a fiber composite outsole. Both excellent features for a middle price-point hockey skate. A solid and protective boot, at an affordable price. Bauer Supreme Anatomical Fit- Naturally close fit around the entire foot. True 360-degree custom fit for maximum wrap. Good for normal to slightly full feet. Sports Etc Performance To Value Rating- 9 out of 10- Excellent value. Ideal for any youth hockey player playing at a mid-to-high level.